ERPConnect Services consists of three components for seamless, straightforward integration of SharePoint and your SAP ERP / BW system. It does not require any additional middleware – the integration takes place entirely within the SharePoint stack. 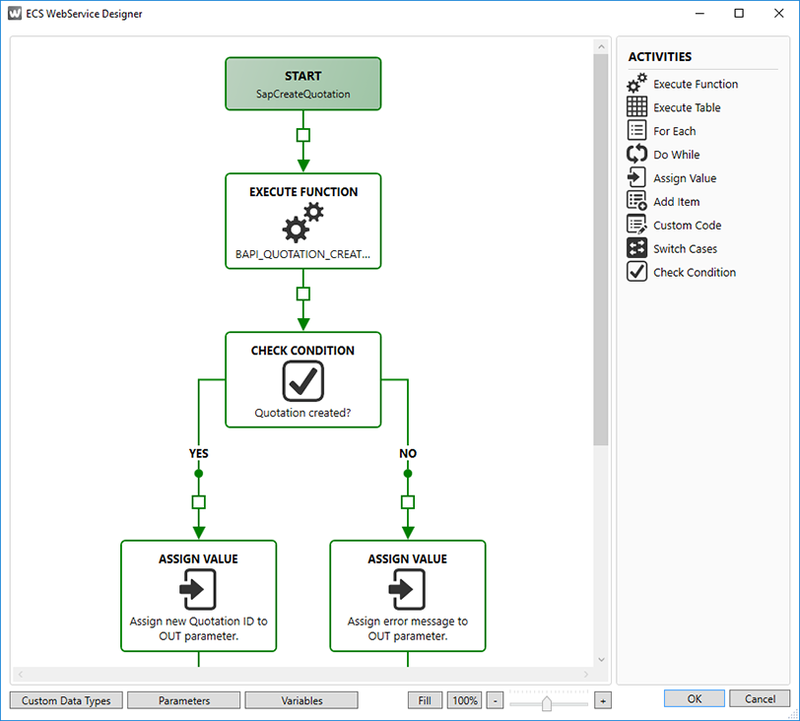 The WebService Designer offers a powerful, easy-to-use tool to design and deploy web services to SharePoint that wrap even complicated SAP processes in a clean and simple web service interface. 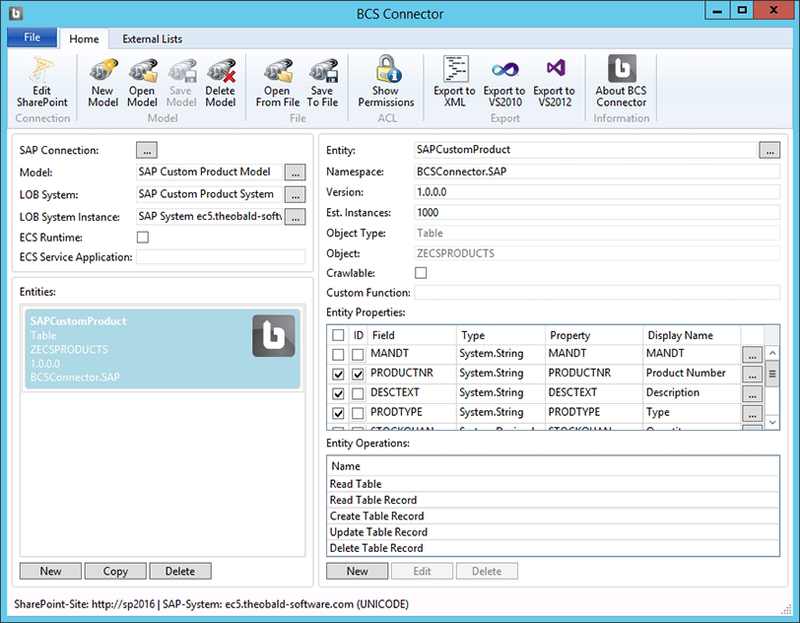 SharePoint architects can make use of a variety of tools and technologies to combine SAP function modules (BAPIs) and SAP-Table accesses graphically to a program sequence. 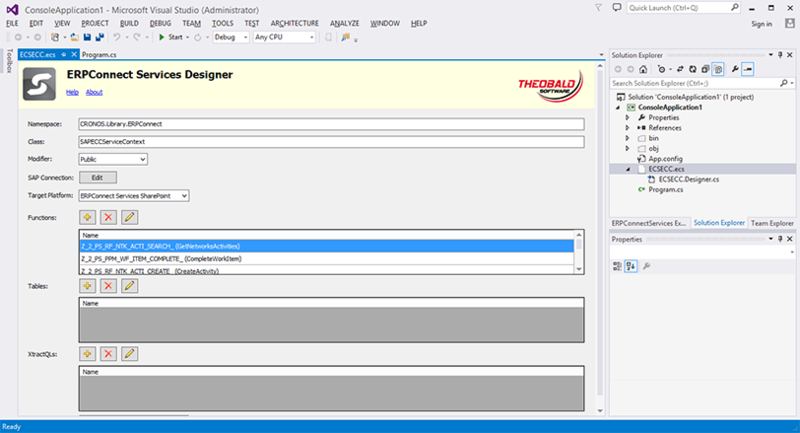 This component allows you to connect SharePoint lists with SAP objects or tables – completely without programming knowledge: Publish SAP data fast and simple as external content types in SharePoint and use it in external lists, data columns as well as Business Webparts. ERPConnect Services Runtime gives .NET developers the opportunity to use SharePoint as a data hub while accessing SAP. Access can be enabled through Visual Web parts, Silverlight and local .NET applications like for example MS Office Add-Ins. 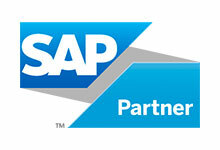 Why SAP integration with SharePoint? Is ERPConnect Services certified by SAP? ERPConnect Services is based on our SAP certified product ERPConnect. Which SAP and Microsoft releases are supported? 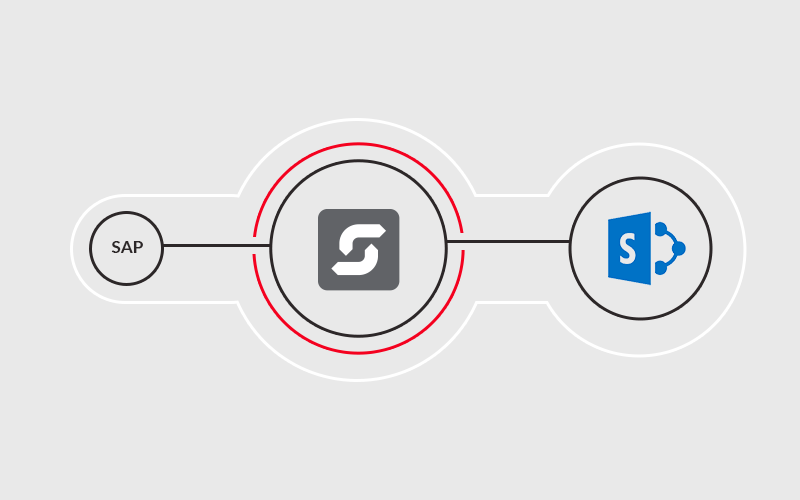 ERPConnect Services integrates itself seamlessly in SharePoint. On the SAP side, SAP release 4.0B or BW 3.0 is the minimum requirement. Please contact us in case of licensing questions. We will be happy to answer your questions. Every license comes with six months of maintenance. Apart from technical support via phone or email, this also includes updates for all versions that are released within this period. After the six-month maintenance period is over, an additional year of maintenance can be purchased for 20% of the license fee. There is no right for updates after expiration of maintenance.